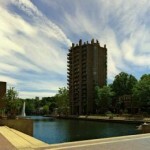 I have a great new listing located in Heron House on Lake Anne in Reston's first Village Center. It's a great little unit with a ton of potential. The unit is completely livable as it is but it's ready for a redo. This unit has what we call "great bones." It's on the 11th floor so it has amazing expansive views just above the tree line. This floor plan is a rarity because on the first 4 floors of the building it has been divided into 2 efficiencies; so there are only 10 of this particular floor plan. Foremost among its charms is a 30+ foot long balcony that goes across the entire unit. 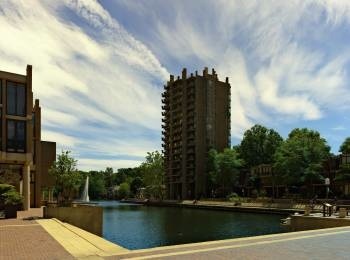 Below is a link to the unit that is for sale, and a link to same floor plan that has been remodeled. A great opportunity to create something unique in a stunning setting and wonderful environment.